They've got the recipe for culinary superstardom. 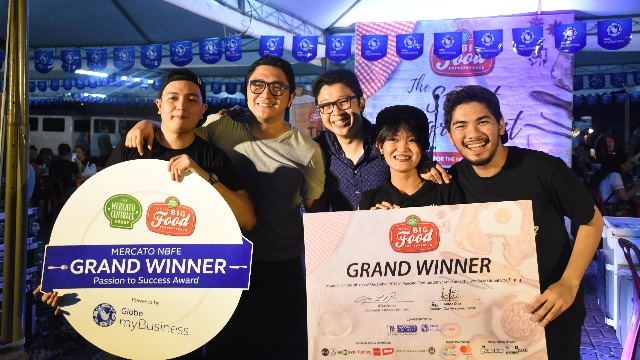 Now on its fifth year, the Next Big Food Entrepreneur (NBFE) is the Mercato Centrale group's way of finding the most promising and passionate food entrepreneurs, helping them attain success in the culinary world. Among the 40 participants of this year's NBFE, these three top start-ups were chosen for their ingenuity, passion, and talent for making good food. 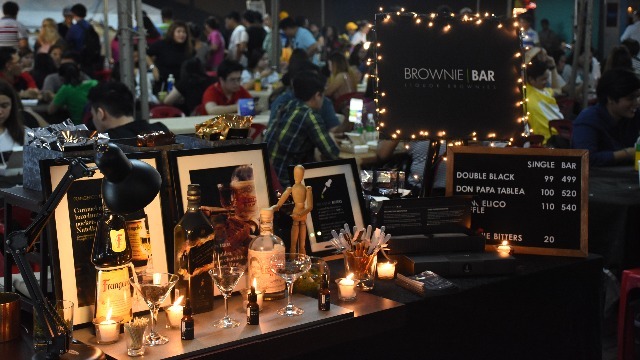 Brownie Bar specializes in liquor brownies, with "bar" being a clever play on words referring to both the shape as well as the liquor content of their goodies. The three Brownie Bar founders are self-confessed foodies who want to give back to the community and share their love of chocolate by elevating the brownie experience. "We wanted something that we could be proud to serve or to give, like a gift," they say. Aiming to deliver a premium experience, they take pride in their romantic packaging and their special "brownie bitter" ingredient, which is made from liquor, chocolate, and alcohol. "Chubby Tuesday started as a tradition," say its four founders, who used to gather for dinner every Tuesday to escape from the stress of everyday life. 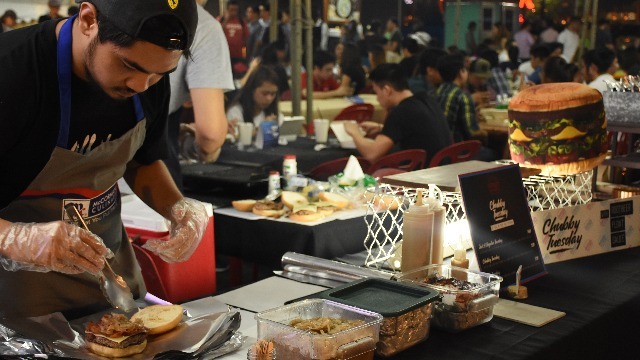 It has since become a quirky burger stand that believes in serving comfort food done right. Each burger is made with love, with meat and vegetables sourced from local markets to ensure their freshness. Their signature root-beer float sauce is also cooked for hours, guaranteeing that each and every burger is a work of passion that delivers a burst of flavor with every bite. No muss, no fuss—only good food that hits the spot every time. Ta Mi Su serves bingsu, a Korean dessert similar to our very own halo-halo but with a more focused flavor. Calling their offerings "bingsu with a twist," the founders say their rendition of the Korean dessert is infused with common Filipino ingredients like mangoes and sweetened bananas. The Ta Mi Su team started their venture before graduating from college, turning their thesis into a rapidly growing dessert company. 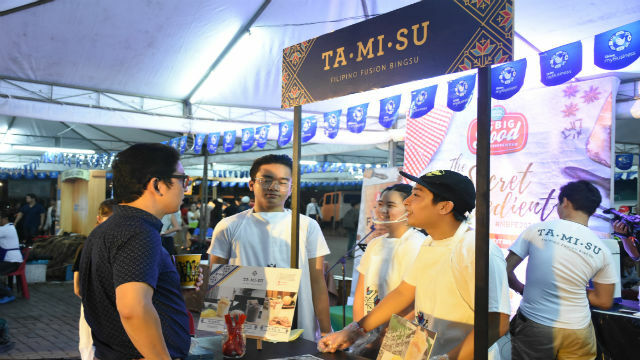 With a rich history of Filipino desserts to draw from, Ta Mi Su promises to keep innovating with new products, hoping one day to be as popular as the halo-halo, the undisputed king of Filipino desserts. Aside from their culinary offerings, the NBFE contestants were also judged based on their proposed use of the rollable and shareable mobile data plans offered by Globe myBusiness. A rollable mobile data plan lets you use in the following month the data you have not consumed. Now, wasted data is one less thing to worry about, allowing you to focus on more pressing concerns related to your business. Meanwhile, having a shareable mobile data plan lets your employees and teammates partake in your data. This is especially handy as the NBFE finalists can share their data with their staff, ensuring they'll be kept updated on business operations in real time. Diverse as the three finalists' offerings may be, there is one common ingredient that has allowed them to stand out in a world where good food and constant innovation are the norm. That secret ingredient, their key to success, is social media. It enables them to communicate directly with their customers and build a personal relationship with them—an integral aspect of an intimate culinary environment such as Mercato Centrale. In an environment where social media is such a powerful tool, it is important for small businesses to always stay connected while keeping costs as low as possible. Having a shared data plan can help keep costs down for small businesses, and Globe myBusiness' new rollable and shareable mobile data plans can help make it happen. Learn more about Globe myBusiness' rollable and shareable mobile data plans here.